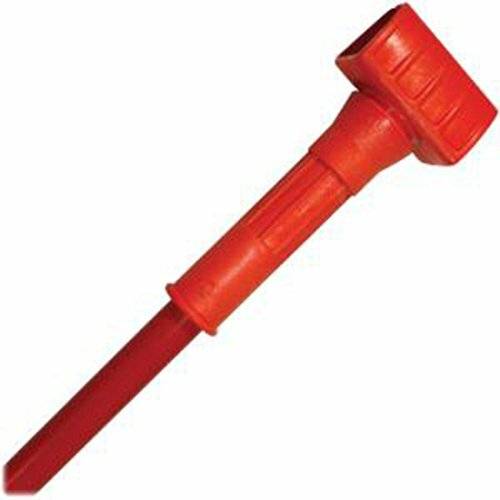 Plastic Tymsaver II mop handles, clamp style head, injection molded heads are completely rust and corrosion free. Fiberglass shafts won't warp, rust or rot. Lightweight and non-marring. Orange fiberglass color. Measures 54" length by 1" height.